Let’s take a look at Pacquiao Powervit Aguilas Pilipinas in the ABL! The ASEAN Basketball League starts in a few days, so I think that it’s time that we started discussing in details about all of the teams now that each team has started filling in their Imports quotas. The league will consist of six teams from 5 countries (Thailand, Malaysia, Singapore, Vietnam, and the Philippines). Each team will play each other 4 times to make a 20 game season. The top 4 teams advance to the Playoffs where they will play best out of 3 series to determine the champion. Team rosters are consisted of 16 players. Two slots in that roster can be used on “World Imports”. World Imports can basically be any player from anywhere in the world. Teams usually use this quota on American Imports who plays close to the basket. has a parent that has full ASEAN Nationality of a different country which the team resides in but was born and raised outside of the ASEAN Countries. For example, the Singapore Slingers (the team resides in Singapore) could have used one of their ASEAN Import quota to sign me (a Full Thai Citizen) to their roster. Instead, they signed Kris Rosales (a Filipino-American). has a parent that has full Nationality of the country which the team resides in but was born and raised outside of the ASEAN Countries. Last year, we saw the Saigon Heat exercise the Heritage Import on David Viet Arnold (mother is full Vietnamese). It worked so well for them that they used the quota on him again this year. In addition to the Saigon Heat, Hitech Bangkok City of Thailand also used the Heritage Import quota by signing Half-Thais Freddie Goldstein and Tyler Lamb. The wordings of the qualifications for the quotas might be a bit more complicated in the official terms of the ABL, but the main idea is there. 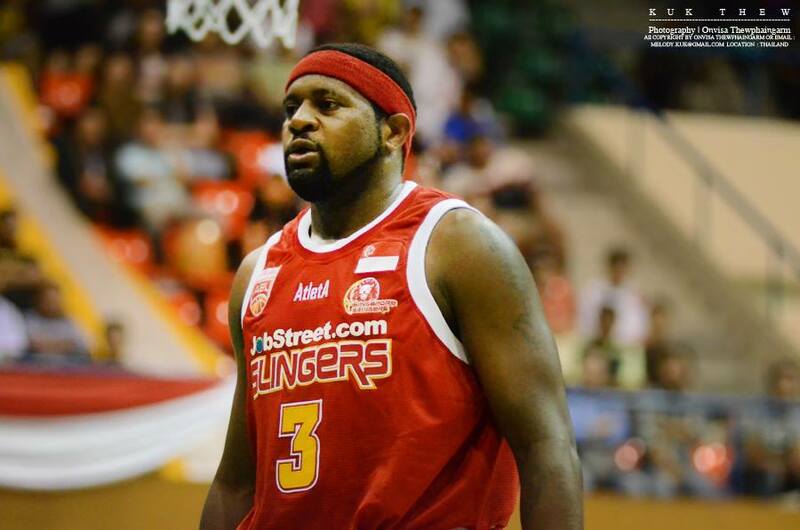 So let’s start previewing the ABL Teams, starting with the Singapore Slingers! The Slingers are a founding team of the ABL, being the only team alongside Westports Malaysia Dragons to do so. The team has a pretty well documented Wikipedia entry, so you can pretty much do your research on the team’s history there. It should be highlighted that the Slingers were the first (and up to this point, only) Asia-based team to play in the NBL. Complications forced the Slingers out of the NBL and they continued their path in Basketball with the ASEAN Basketball League. The Slingers finished 12-8 in last year’s ABL and returned to the playoffs last year after missing out two consecutive years of post season play. They can take some pride in having one of the most local dependent rosters in the league. The Slingers had their locals play a whopping 54.96% of their total minutes which is second in the league (first in the league was Laskar Dreya at 60.07%). With the firepower of ASEAN MVP, Wong Wei Long, and the impressive rookie seasons of Russel Low and Larry Liew, the Slingers were able to play the entire season with a very old Al Vergara all the while juggling between 4 World Imports. They even had an expat engineer (Adam Besic) play one of their games! Local play had a huge part in the Slingers success, but the quality of their Imports can’t be overlooked as well. The Slingers started out with Hassan Adams and mainstay Kyle Jeffers but lost Adams 3 games into the season. A couple of games later, they would team Jeffers up with Ex-Saigon Heat, Dior Lowhorn. The two would help to hand Hitech Bangkok City’s first loss of the season with a buzzer-beating three point shot from Lowhorn. They would lose Jeffers to a foot injury in the same game for the rest of the season. Justin Howard would fill in Jeffers slot later on and finish the season with the Slingers. Filipino Al Vergara was one of their ASEAN Imports and he would be a steady presence at the point guard position. He had impressive point guard numbers with 4.36 assists per game (4th in the ABL), 26.4 AST% (3rd in the ABL), and 2.18 AST/TO Ratio (3rd in the ABL). Coach Neo Ban Sieng knew he would have to be relying a lot on his locals which meant his team would be facing plenty of mismatches. To avoid getting exploited, he had the Slinger’s run the slowest paced game (76.99) in the ABL. They averaged the least amount of possessions as well with only 77.46 possession per game. No other team averaged less than 80.00. This meant that the opposing team would be having less opportunities to attack the mismatches and instead they would be dueling it out in efficiencies instead. It would prove to be effective as they made it up to third place in season standings and even if they did fall to Hitech Bangkok City in the Finals, the season was a good omen for the future of the Slingers. Things don’t seem to be starting off as well for the Slingers this year. Russel Low and Larry Liew were not signed to this year’s roster. The reasons are official undisclosed, but it is said that Low is preparing himself for University (which by Singaporean standards require a lot of preparation) and that Liew is attending the National Service. Missing out on both of last year’s rookies are a huge blow. Low was one of the best inside local players last year. His 4.14 rebounds per game led all locals and his 11.9 TRB% was second. He hadn’t developed much of a post game at that time, but he showed plenty of progress in his impressive showings in SEABA Championships and SEA Games. 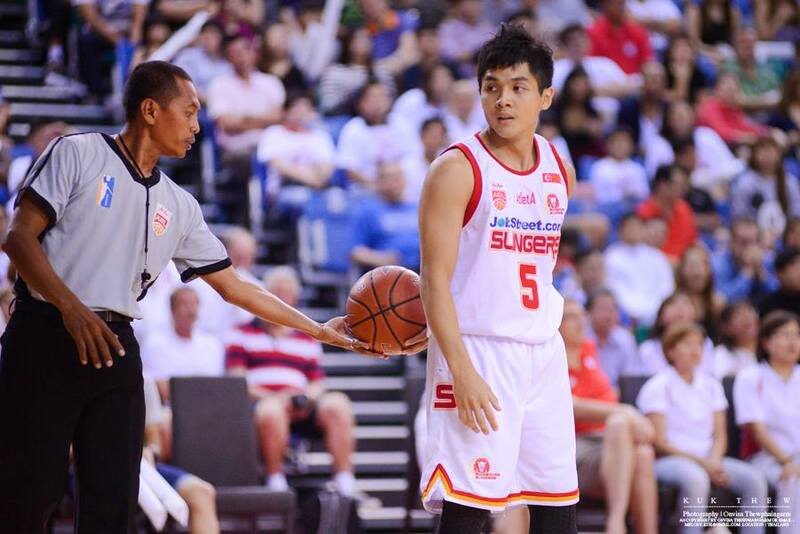 Larry Liew was a deadly three-point shooter for the Slingers last season (32.8%, 8th in ABL) and he was only one of two local players to have made at least 20 three point shots the entire season. Like Low, he showed in the summer regional tournaments that he had more to prove this year in the ABL. Thailand should especially remember how deadly his three point shots are. Alas, both are not going to be wearing Slingers jerseys this year. The local guys that will be wearing the red and whites will still be impressive nonetheless. ASEAN MVP Wong Wei Long might not have been the most effective scorer (38 eFG%) but he provided a nice scoring touch for the Slingers that lacked a willing scorer outside of Dior Lowhorn. He would lead all locals with 10.4 points per game and would be one of the most clutch scorers in the ABL. Ng Han Bin and Wu Qing De will provide a punch of inside-outside combination from the wing. Desmond Oh might be aging, but should still be able to provide solid minutes of top-notch defense. One of the more important locals will be Delvin Goh. With Russel Low now out of the frontcourt rotation, plenty of the pressure will be on Goh, who averaged 8.2 points and 10.4 rebounds per game in the recent FIBA Asia Championship. He had a huge 20 point 18 rebound game against Malaysia as well. 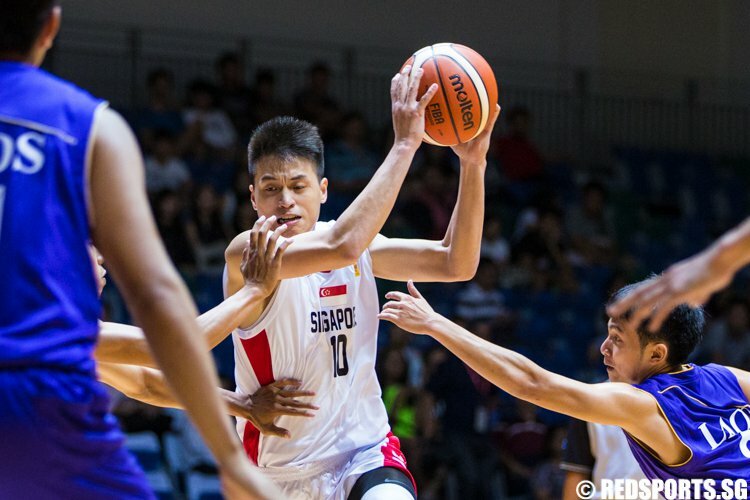 Goh didn’t do much in his 8.3 minutes per game last season, but he will now be expected to produce more with plenty of playing time to be allocated his way. According to a fellow ABL Blogger, Slingers Nation, the Singaporean team will be featuring 4 rookies. I am very excited about Leon Kwek. I have had this 19-year-old 6’2” wing on my radar since the Melacca International Basketball Competition last year when he played with Adriot and he has continued to perform since then. He’s still pretty young and has shown signs of inconsistency in all national team competitions, but in those spurts where he seemed to figure it out, he looked really good. He had an impressive 7.8 point and 4.6 rebound average in FIBA Asia. He should run into some rookie walls early on, but like Liew and Low, he should be able to make a name for himself before the season ends. The World Imports this year will be wing, Xavier “X man” Alexander, and returning center, Justin Howard. You can read about Xavier Alexander, here, and Justin Howard, here. The Slingers will also not be using the services of Al Vergara and will instead be playing Fil-Am Kris Rosales as their sole ASEAN Import. You can read about Kris here. The Slingers are aware of their limitations and they find ways to minimize the opportunities of it being exploited, as mentioned above. They have done a good job of developing their players, whether it is Wei Long, Oh, or any of the other Slingers mainstays. The Slingers had done well of solving the problem at hand since last year and that should continue to be an aspect which opposing teams cannot overlook in this season. These Slingers have been playing together for what it seems like forever. The Locals are all a part of the Singapore National Team that has been playing together consistently for more than half a year now. It is hard to quantify “chemistry” but if there were such a number, Singapore would be among the top of the category. Their imports will obviously need some time to adjust, but Justin Howard had been a part of the team already since last year. He and Rosales are familiar with basketball in the ASEAN region as well, so the transition period shouldn’t take too long. A wing rotation of Alexander, Wei Long, Hanbin, Oh, Qing De, and Kwek is a nice 6 man wing rotation. By midseason, all of them should be able to provide solid minutes and shouldn’t disrupt the flow of the game much between substitutions. The interior players are basically just Justin Howard and Delvin Goh. You could make a case for Wu Qing De as a very undersized power forward, but that’s pretty much it at this point. I’m not sure if Xavier Alexander will play well in the post, but that’s something we’ll have to see later on. The Slingers are going to be feisty and annoying but at some point, size does overcome that. If either Howard or Goh gets into foul trouble, I can’t really imagine anyone else on this squad that can slow down Steve Thomas, Chris Charles, Anthony McClain, Reggie Johnson, Charles Mammie, or Quincy Okolie. Coach Neo Bang Siang will have to be very creative to cover up this hole. Experience is always good, no doubt about that, but the core of the Slingers had been playing and practicing consistently since earlier in the year. The exhaust will catch up with them at some point. Again, Coach Ban Siang will have to work some magic out with the minutes distribution. 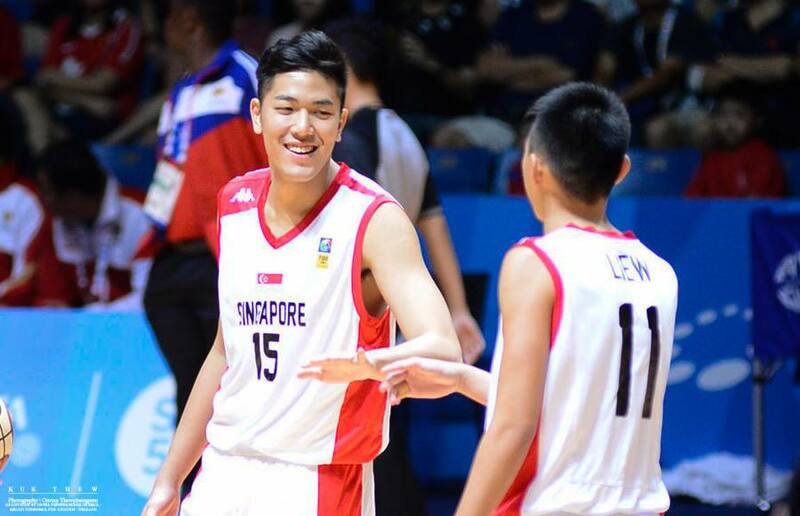 Losing out Larry Liew was a huge blow for the Slingers already when the news popped out after the Singaporean National Team won bronze in the SEA Games, but I felt that his three point shooting was something that the wing rotation could cover up. Losing Russel Low is a whole different story. It shakes up their entire rotation and might very well have forced Coach Ban Siang to change his offensive approach this year. I love the Slingers for how they develop players and their approach in team building, but it seems like a rebuilding year for them. Last year’s 12 win season was impressive but last year’s squad was pretty special. I don’t expect this year’s squad to be able to replicate their success with too many new pieces to set in place. 6-8 wins should be accurate.